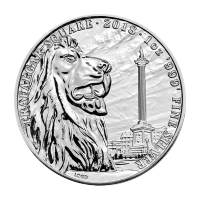 Produced by the Perth mint the 2018 1 oz .9999 silver Tuvalu Thor bullion coin is the 2nd coin to be released as part of the highly sought after Marvel bullion series. 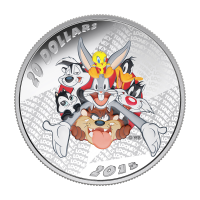 The First coin in the series being the sold out 2017 Tuvalu Spiderman silver coin released earlier in the year. The Marvel character of Thor is based on the Norse deity of thunder. Introduced into the Marvel universe in 1962 he quickly became popular and has starred in multiple series of movies, TV shows and comic books. As a foundation member of the Avengers superhero team, Thor has moved up the ranks to become an inspiring character of strength and integrity. 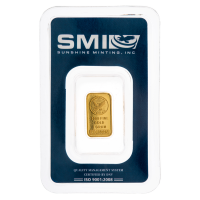 This coin has a limited mintage of only 50,000 making this a highly sought after coin. The reverse portrays a comic like depiction of Thor mightily presenting his hammer as if ready for battle. 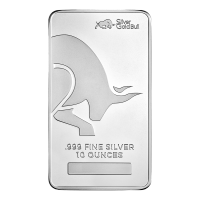 Purchase the long anticipated release of the.9999 1 oz 2018 Thor silver coin and add to your bullion collection today. 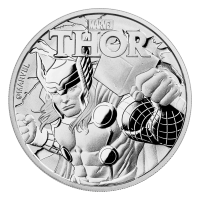 Reverse Thor gripping his hammer in a battle ready stance and the words "Marvel Thor"
Thor gripping his hammer in a battle ready stance and the words "Marvel Thor"
1 oz 2018 Thor Silver Coin Produced by the Perth mint the 2018 1 oz .9999 silver Tuvalu Thor bullion coin is the 2nd coin to be released as part of the highly sought after Marvel bullion series. 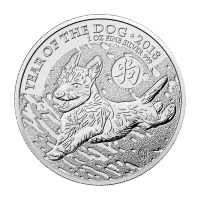 The First coin in the series being the sold out 2017 Tuvalu Spiderman silver coin released earlier in the year. The Marvel character of Thor is based on the Norse deity of thunder. Introduced into the Marvel universe in 1962 he quickly became popular and has starred in multiple series of movies, TV shows and comic books. As a foundation member of the Avengers superhero team, Thor has moved up the ranks to become an inspiring character of strength and integrity. 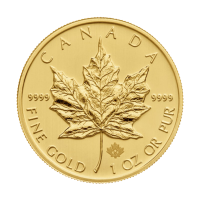 This coin has a limited mintage of only 50,000 making this a highly sought after coin. The reverse portrays a comic like depiction of Thor mightily presenting his hammer as if ready for battle. 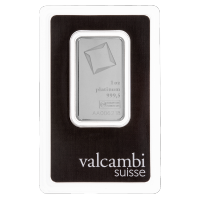 Purchase the long anticipated release of the.9999 1 oz 2018 Thor silver coin and add to your bullion collection today.